In Your Bones is a recurring feature here on Folk Hive in which a friendly fellow blogger lets us in on a jam they hold dear to their heart. A jam that is in their bones, so to speak. Here in my hometown, the livelier residents (me) and their friends (mine) have been known to participate in an activity we affectionately refer to as “Ditch Livin'”. 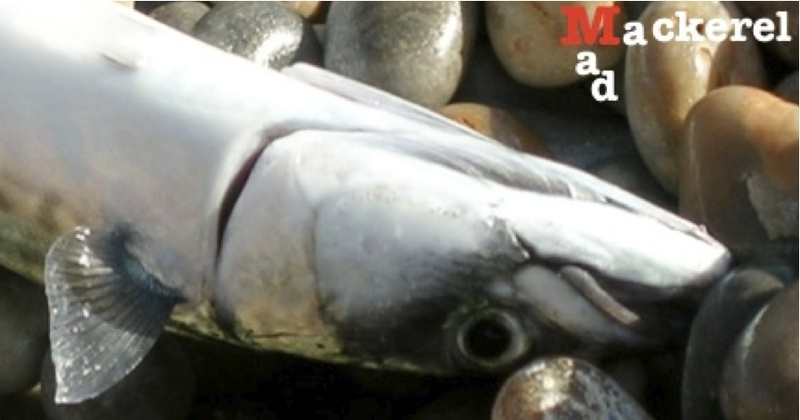 I’ll spare you the details — Mom always said it wasn’t a good idea to broadcast the details of your potentially illegal activities on the internetz — but upon reading the bio of The Mad Mackerel, I could tell we were kindred spirits. After all, it was meant to be if The Mack is hell bent on posting “…music from the ditch”. So Sam asked me “write about a song in your bones, so to speak”. The choices are endless? First song? You know that first song. That first song that really, really got you. That first song to make you realise that not only was music good, important even, but was going to be one of those things in your life that was going to matter to you more than almost anything else. That was going to define your relationships with people (age 15, friends with a Michael Jackson fan? Fat chance), and shape how you saw the world and help you negotiate your path through life – step forward the first Clash album. Then again, perhaps it should be the love songs? The songs that become yours as you fall in love and then, just as quickly, out of love again. Breaking up was never easy, but how much more enjoyable when you can wallow in your own despair and melancholy accompanied by the heartbreak song that was apparently written just for you. Mine? Sorry, can’t tell you! Or the nostalgia songs. The songs that recall that perfect moment, perfect day, perfect night, perfect event or best of all, the perfect gig. Phosphorescent at SxSW, the Cave Singers last month with Mrs Mackerel, Mick Jones reuniting with Joe Strummer at Acton Town Hall, Felice Brothers at the End of the Road. Or the poignant songs that, by association, become imbued with a depth of meaning that others can only guess at. “The Doors Cars Hiss By My Window” soundtracked the aftermath of my father’s sudden death just as Oasis was doing the same for my younger brother with “Don’t Look Back In Anger”. Hear either now, and I am back there in the immediacy of the grief and the shock and the anger. Or the songs that make you realise the fundamental raw power of music. My dad (again) turning off Bankrobber because he didn’t like the lyrics, or Gotta Getaway for the same reason. And me, transported by song from my safe, loving, happy, rural, middle class home into part of the movement of snarling, protesting, embittered youth on the streets of Belfast. Hell, then I didn’t know anything about Northern Ireland let alone enough to know whether Stiff Little Fingers were Protestant or Catholic. So what about the protest songs that teach you about what is wrong in the big wide (bad) world. Songs about injustice, corruption, greed, the futility of war, the despair of loneliness. Songs about nations or individuals. It’s all there and told with a skill and a passion that is as thrilling as it is educational. “Hurricane” by Bob Dylan,” Big A Little A” by Crass, “Levi Stubbs Tears” by Billy Bragg,” Old Devils” by William Elliott Whitmore – united in their fierce desire to expose wrongs. Or the songs that give you an identity. Punk, goth, suffering indie geek, stoner – yep guilty on all counts m’Lud and frankly I have plenty more offences to be taken into consideration. Or the songs that floor you on first listen with their fragile, haunting beauty. Or my favourites – the songs that tell a tale. Stories of the down on their luck, the losers, grifters, gamblers, drinkers, and bandits. The heartbreakers and the heartbroken, the lost and the leaving, the condemned with their last desperate throw of the loaded dice. But enough – back to the question at hand. The hardest of all questions. I can only give one answer: my bones are full of songs – songs of all the types above and more. Songs that jostle for room and attention and yet, best of all, there is endless room for so many more. Here are five of my favourites – I hope they become the same for you. I saw the Cropdusters more times than any other band. A blend of barnstorming, hoedown rhythms, punk attitude, and hillbilly lyrics all overlaid with a phenomenal self-destruct button meant they never scaled the heights of which they were capable. While lesser bands like the Levellers reaped the rewards, The Cropdusters are now little more than a footnote in the cow-punk movement, yet to me the most exhilarating live band I ever saw. To my mind, having a music blog is some of the most fun you can have with your clothes on. And best of all is that moment of discovering a brand new band that you know is going to be important to you from that moment on. This is the third year of the Mad Mackerel and personally speaking, The Howling Owls are my favourite discovery. Sinister, unsettling, and menacing with scalpel sharp lyrics and delicious tales of everyday folks and their secrets. In their hands the mundane becomes murderous and nothing is ever as it seems. I love this for the crazy way it sticks the vocals of a bluesman from the swamps of the Deep South on top of a hypnotic, pulsating krautrock rhythm. Over the course of eight metronomic minutes, it tells the true and shocking story of R&B musician Johnny Ace who died on Christmas Day 1954. A masterpiece. Wooden Wand is unique. A chameleon like musician. He has that rare ability to be equally at home with sun baked desert psych as he is straight up acoustic folk or fire and brimstone style protest blues. This affectionate and honest tribute to an uncle is delivered in a little more than a cracked murmur, but look further and you’ll find a sly wit and a knowing nudge and wink too. It is a beauty. About as stereotypical a story song as you could possibly get. A serially failing bankrobber writes home to his Mum from prison, earnestly promising to change his ways once he completes another “five stretch”. Yet there is something about the deceptively clever lyrics and plaintive delivery that lifts this above the standard fare and makes it a very special song indeed.